Al Ahli Bank of Kuwait (ABK) today announced that seven of its employees have recently successfully graduated from professional courses held by Kuwait’s Institute of Banking Studies (IBS). 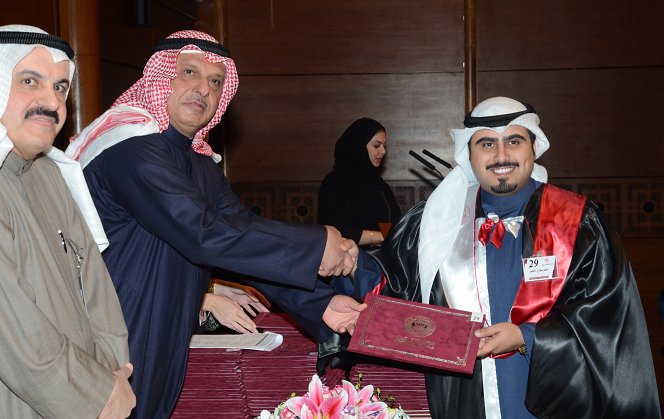 At the graduation ceremony, which took place at the Kuwait Chamber of Commerce in January, ABK graduates from IBS’s Certified Bank Branch Manager (CBBM), Risk Management Certification (RMC), and Certified Credit Management (CCM) professional training programs were honored. During the ceremony, which was attended by the graduate’s families and by senior ABK managers, each graduate received an official diploma to mark their achievement. ABK is committed to investing in its employees and ensuring that they have every opportunity to fulfill their career potential. The Bank is a keen supporter of IBS’s specialized training programs which offer high caliber internationally accredited programs which are designed to specifically address the needs of Kuwait’s banking sector.